Over several years, Women to Women was able to provide enough funds to build a highly functional kitchen in the Senior Center in La Peñita. The Center serves the Seniors of all four of the Jaltemba communities, and the kitchen is used for many social events throughout the year. 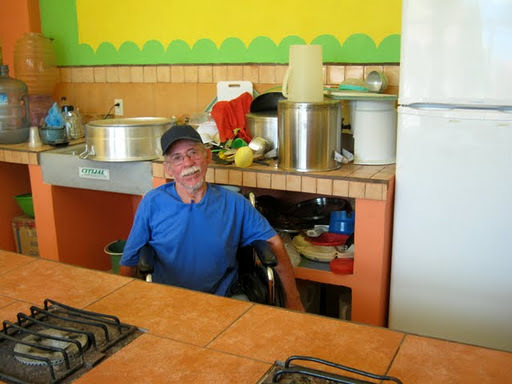 Recently it has been used to prepare meals for those seniors who are not mobile. The meals are delivered to their homes by volunteers. Women to Women would like to generate funds to support this meal program through the purchase of food staples.